DESCRIPTION: Cozy and clean updated home near all that Bar Harbor has to offer, just a short 2 minute walk to the Village Green. Situated in a quiet residential neighborhood, this house has an enclosed yard and a large wrap around deck, making it a great spot for a family vacation. 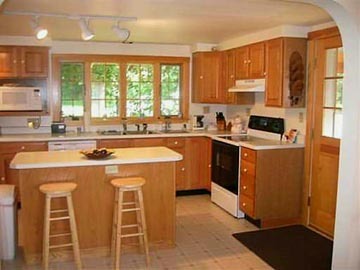 LAYOUT: Kitchen with updated appliances (as of 2005), dining room, living room. Master bedroom with a queen bed and air conditioning. 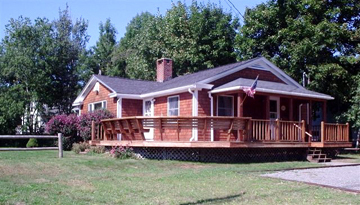 2 bedrooms - 1 with 2 twin beds & 1 with a double be (1 has air conditioning). One full bath. Inquire for off season weekly or monthly available rates.